Every winter, the lakes of LaPorte County transform from sunny, warm shores to bustling, blustery beaches. Swimming is no longer the draw; it’s ice fishing. Thousands of anglers bundle up, ready to catch bluegills and crappies. Spectators line the edge of the water hoping to steal a glimpse of the trophy fish and welcome the Ice Belt’s finest fishermen. This year, ice fishing in LaPorte County has heated up with national and local ice fishing competitions. North American Ice Fishing Circuit, NAIFC, is coming back to LaPorte County for Indiana’s only National Qualifying Ice Fishing Tournament on Pine and Stone Lakes. Join the pros from 5-7pm on Friday for a seminar series that covers ice fishing basics. Demonstrations include knot tying and using plastic baits, etc. It’s designed for the beginners and intermediate fisherman. Meet-n-Greet Speakers will follow from 7-9pm. All seminars are free and open to the public. Before the fishermen cast their lines on Saturday, enjoy the indoor Kids Ice Camp starting at 1pm. Kids and parents learn about ice safety, bait, electronics, rods and jigging techniques. Kids put their knowledge to the test from 2-3:30pm to experience fishing out on the ice. Equipment will be provided. And new this year is an exciting opportunity for high school kids to get in on the action and qualify for the National tournament as well. The competition and chance to secure a spot for the National Championship kicks off early Sunday morning. Come watch the teams as they weigh in their “Catch of the Day” and see who will take home the trophy and cash prizes during the weigh-in. 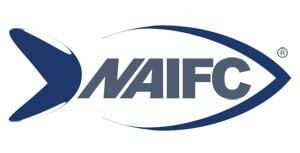 For detailed information on NAIFC and the Pine/Stone Lake Qualifier, visit naifc.com. Novice Fishermen can get in on the fishing action on LaPorte’s lakes too. Registration begins at 5am at Cummings Lodge on Stone Lake. Anglers can fish on Pine and Stone Lake and must return with their catch by noon. Cash prizes are awarded by length in 5 categories: Pike, Bass, Bluegill/Redear, Crappie and Perch. Entry fee is $20 per fisher. All entries also have a chance at winning a grand prize $300 Bass Pro gift card.